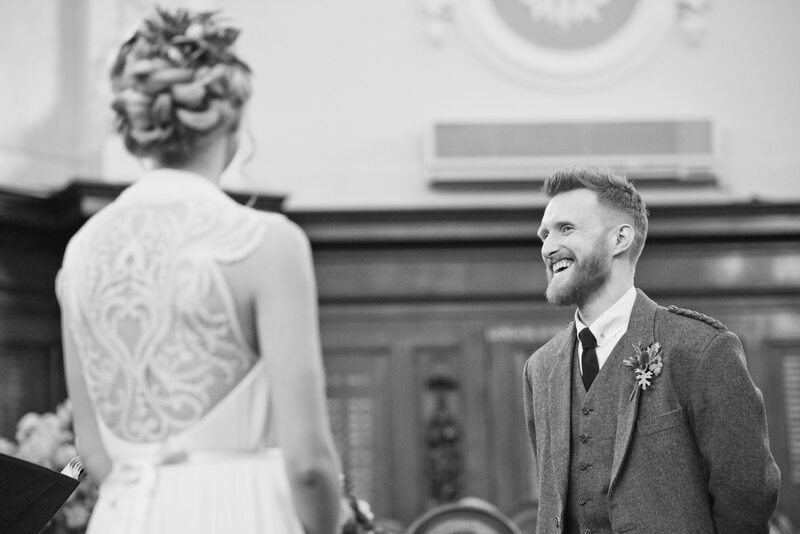 On the week of my two year wedding anniversary, I thought it was about time I blogged my own wedding! This felt a bit weird to me though (ironically! ), so I got my team to write it for me… with a final edit by me, of course! Let me know what you think! 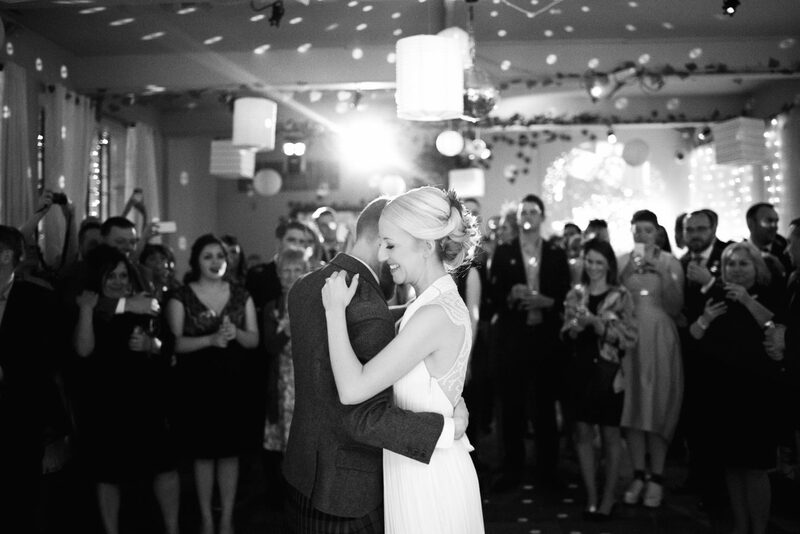 Laura and Adrian were married in Islington, North London, in the spring of 2016. 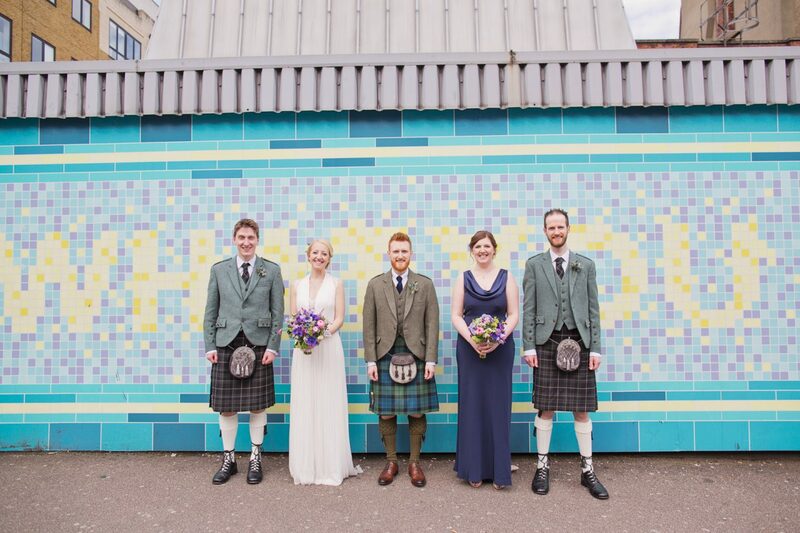 The wedding was a blend of their home cities, Glasgow and London. 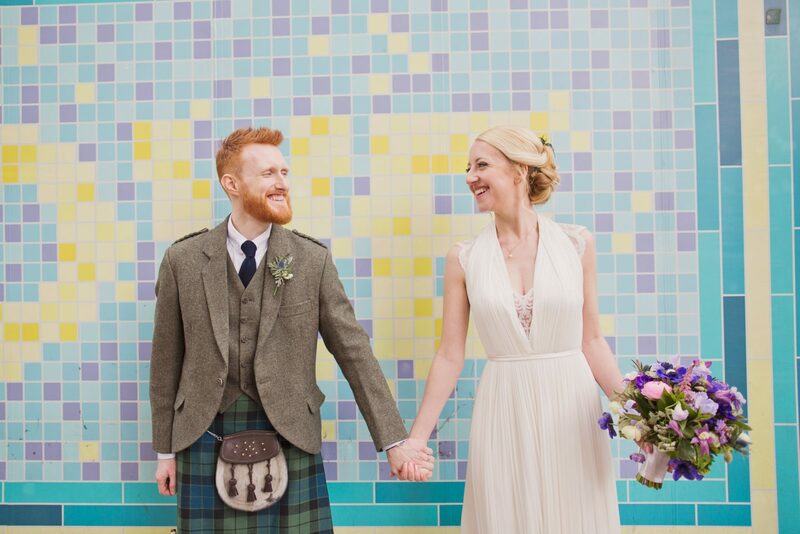 The couple originally grew up near Glasgow (they met whilst working in WHSmith as teenagers!) 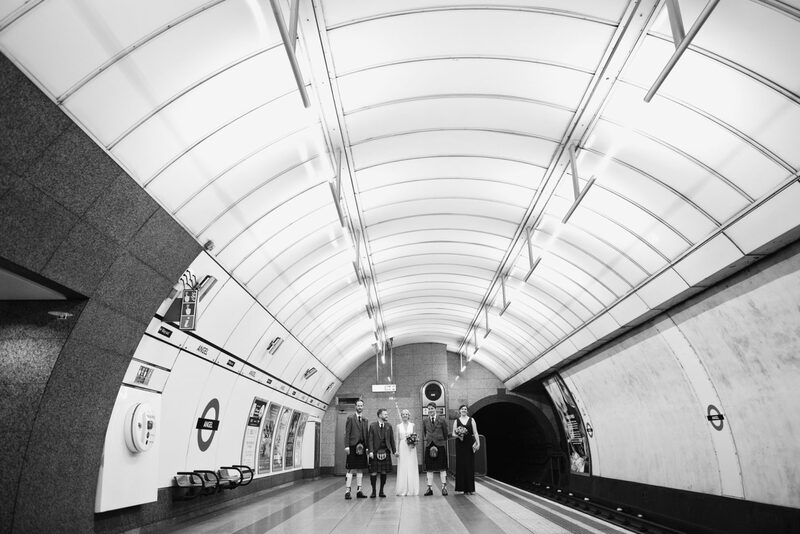 but have now made London their home, having now settled there for over 10 years. 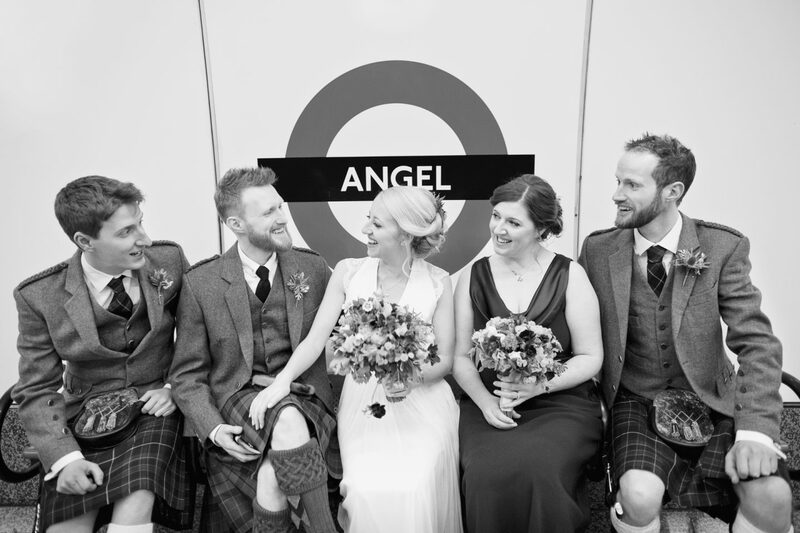 Their wedding was a perfect blend of traditional Scottish elements with urban styling details reminiscent of London life. 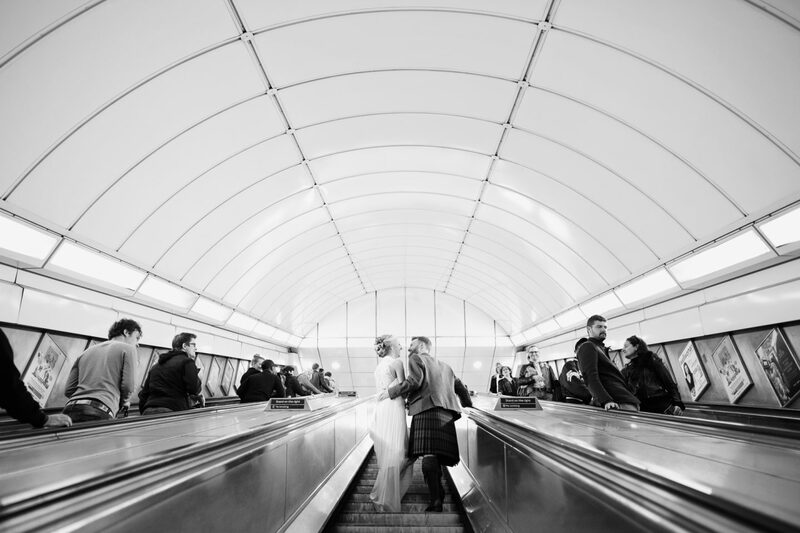 Laura and Adrian met when they were both working at their local WHSmith when they were teenagers. By complete chance, they ended up moving into student accommodation right next door to each other whilst they were both studying in Glasgow. Despite being friendly, it took them a bit of time to form a relationship due to ‘conflicting study schedules’ and the fact that Laura studied abroad in Prague during her third year, then after that Adie took a gap year to travel the world. After university and all their separate travel plans were out of the way a few years later, Adie followed Laura down to London and moved in with her temporarily… but never left! In January 2015 Adrian proposed to Laura in Paris at Le Jules Verne restaurant at the top of the Eiffel Tower with a beautiful rose gold, diamond, and morganite ring from Astley Clarke. At this time in their relationship, Adie was working in Paris and Laura had just come out to visit him for the weekend, so Laura had to take the Eurostar back home to London on her own on Sunday evening… She told us that “I think people thought I had been left at the altar or something, because I was alone and just kept looking down at my ring and blubbering!”. 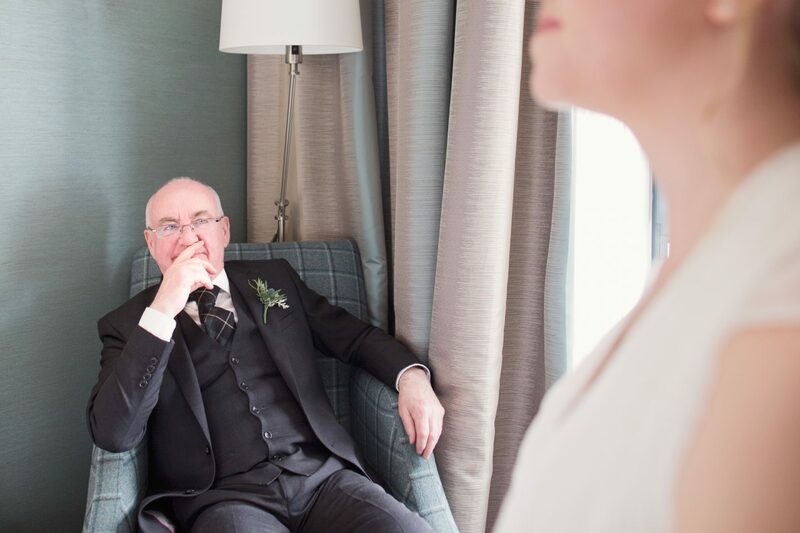 As Adrian was still working abroad for the first few months of their engagement, Laura began planning the wedding fuelled by the excitement of their big day. 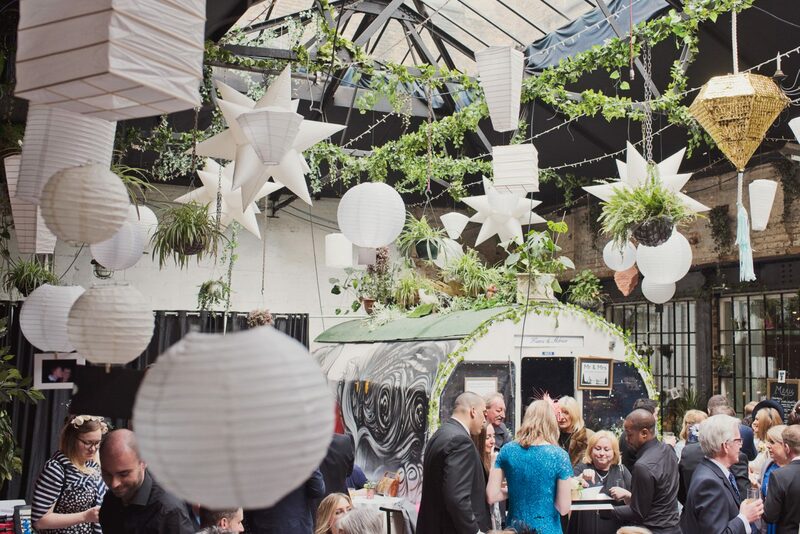 She decided that she wanted to make the wedding as local as possible to keep things simple (and cost effective). 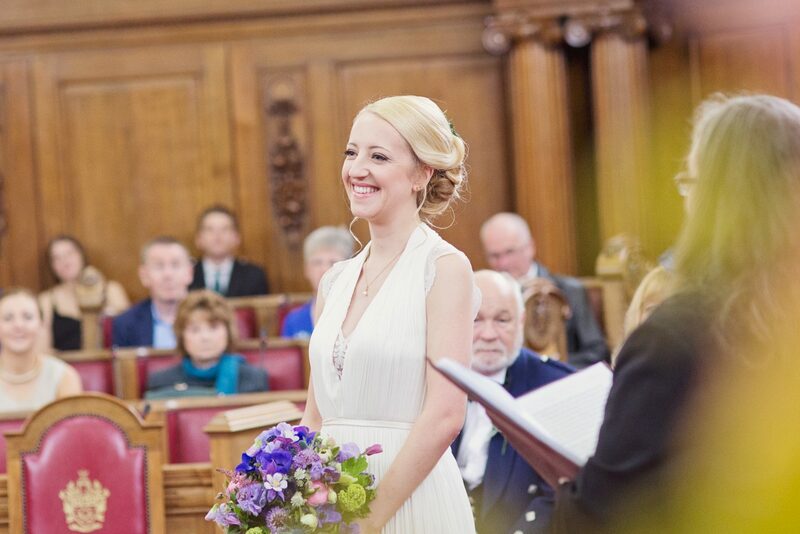 After many weekends with her sister venue and supplier hunting, she soon had a shortlist ready and was armed to book 90% of the wedding on Adie’s return! As Adie was still away working, she had also already devoured every book, magazine and blog going that was in any way loosely related to weddings! 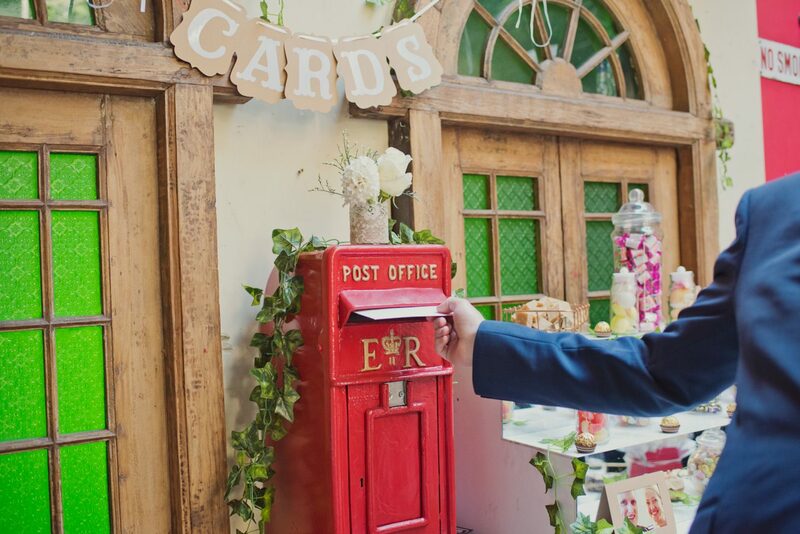 So she decided to start this blog as a creative outlet to share her planning ideas; her blog has now turned into her full-time business where she shares wedding inspiration for countless brides to be and helps them plan their wedding, their way, with more flexible help – offering ‘pick + mix wedding planning’. 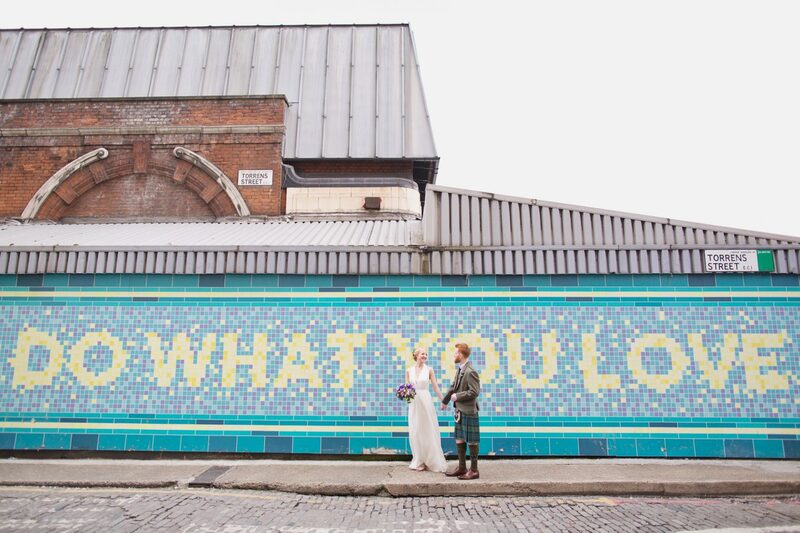 Laura had initially wanted to wear a shorter dress on her big day to match the urban theme of the wedding but after having a look online she started to fall in love with a specific designer who only did longer gowns. Laura had seen some beautiful dresses online on BHLDN.com but she was hesitant to purchase anything on the internet, especially from an American company, just in case the dress didn’t fit. After a bit of googling Laura realised that one of her fav designer on BHLDN.com actually had a studio in East London, very nearby to their flat. 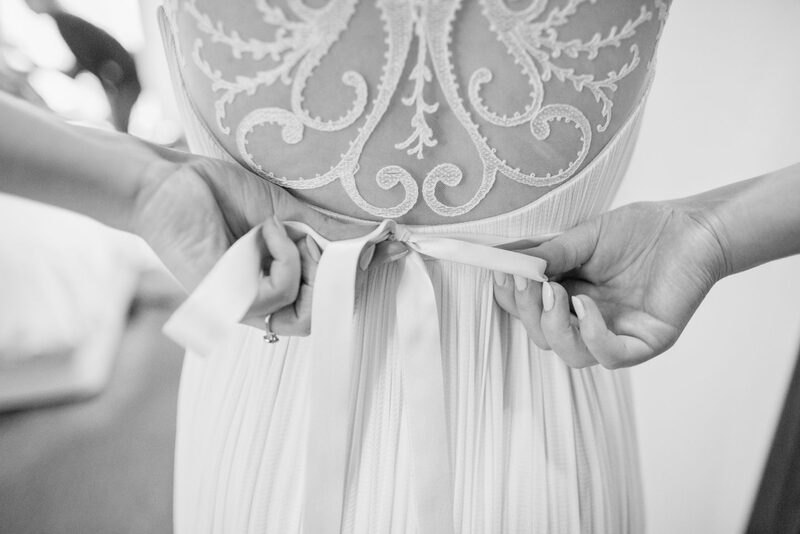 Laura then planned and researched strategically to go to one of Catherine Dean’s sample sales and managed to grab a beautiful Grecian style dress with an exposed lace back. 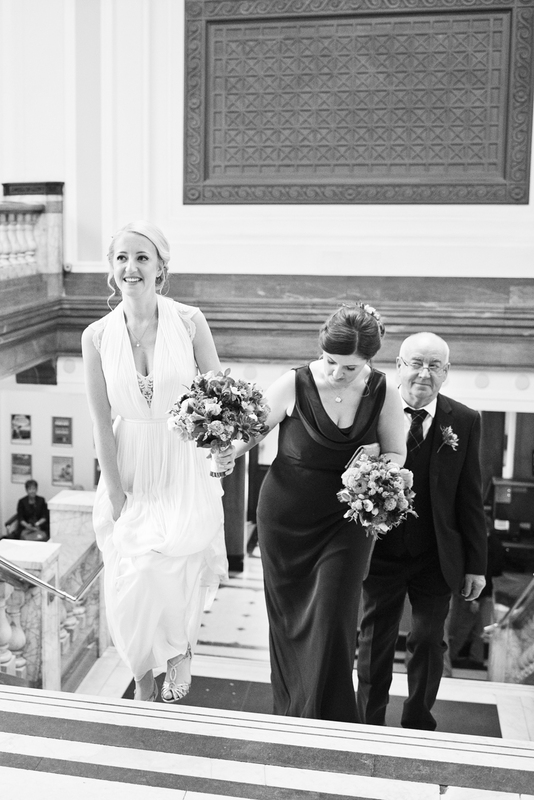 As her dress was long Laura wasn’t too concerned with her wedding shoes and decided to opt for a pair of 1950s style heels from Topshop that she had worn to her sister’s wedding the year before as she loved them (and had already broken them in!). 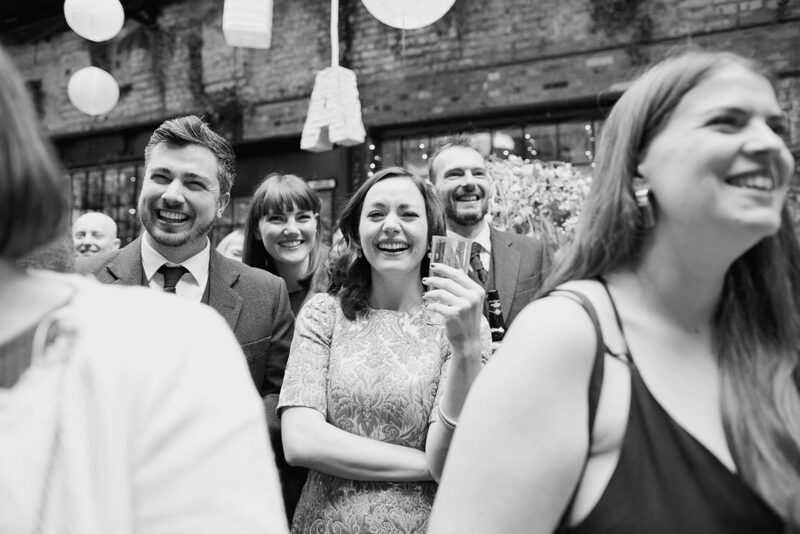 Laura and Adrian were married in April the following year at a relaxed ceremony in Islington Town Hall, with the reception held at The Islington Metal Works which made the perfect venue for a large and fun party – and it was a hidden gem. Laura says “our day was personal to us, down to the last detail. 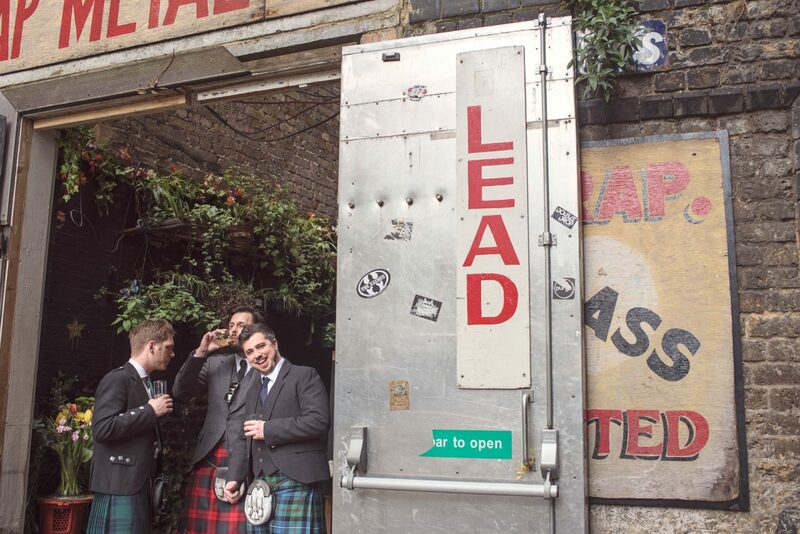 We had tributes to our Scottish heritage as well of lots of London details as a homage to where we now call home”. Aside from that, they didn’t want their wedding to appear too ‘themed’ so just picked a lot of different elements that represented them, who they are as a couple, and just generally things they liked. 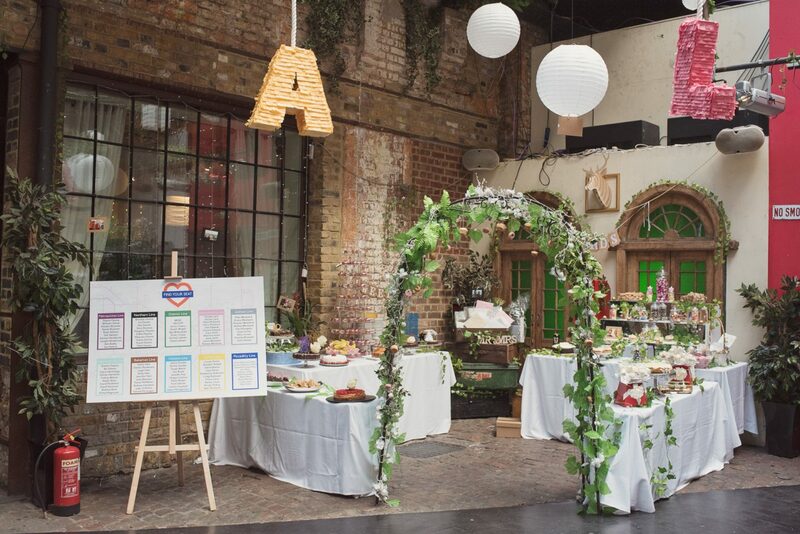 Laura’s favourite part of the wedding was the pudding garden; as they weren’t keen on traditional wedding cakes, they asked their local friends to each bring a cake with them instead of a gift so guests could enjoy a selection of desserts. 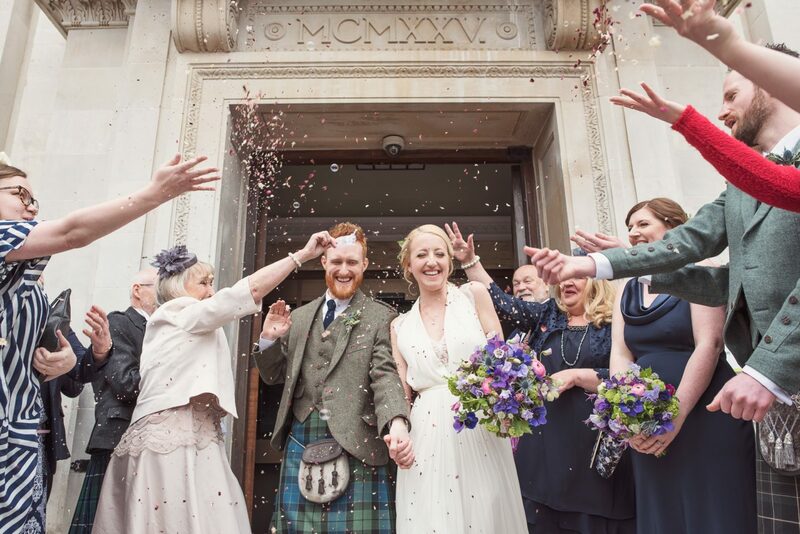 The couple decided to keep the big elements of their wedding simple and opted to have lots of little nods to London and Scotland. 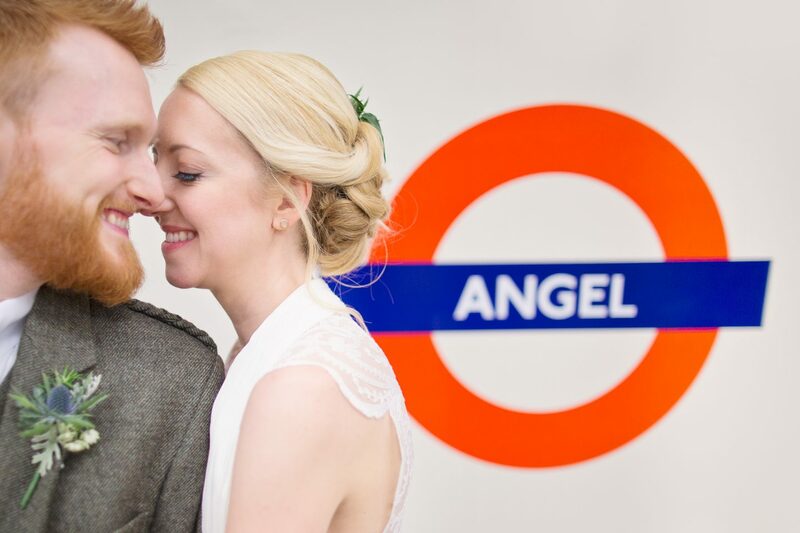 Laura designed their wedding invitations to look like a London tube map and from that the London theme was born. 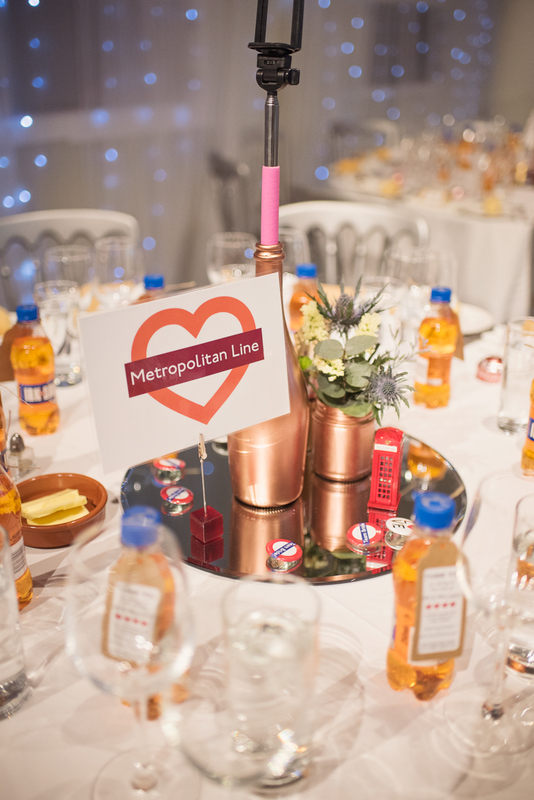 TFL themed signage was used around the venue and Laura also designed pin badges to use as fun wedding favours. 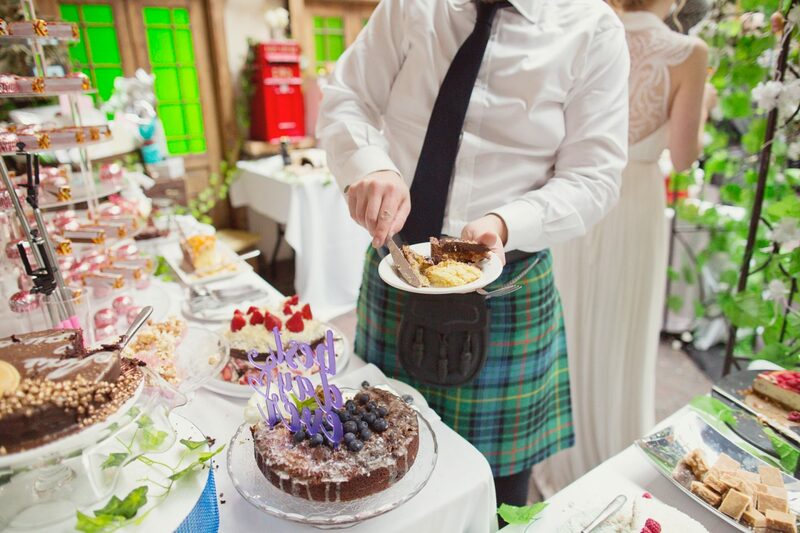 To bring in their Scottish heritage, they added thistles to the wedding flowers and had mini bottles of Irn-Bru as favours as well as Tunnocks Tea Cakes, Tunnocks Caramel Wafers and Highland Toffee bars dotted around their wedding breakfast tables and their pudding garden. 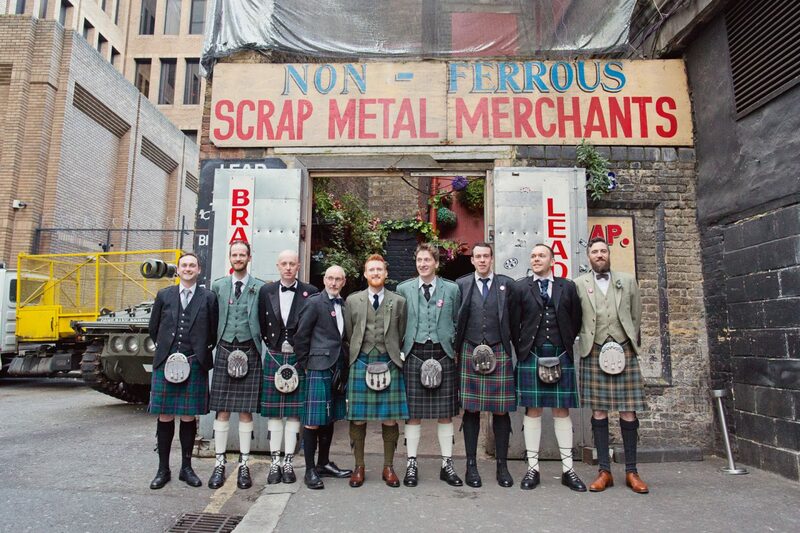 In terms of the wedding colours, Adrian’s kilt set the theme. 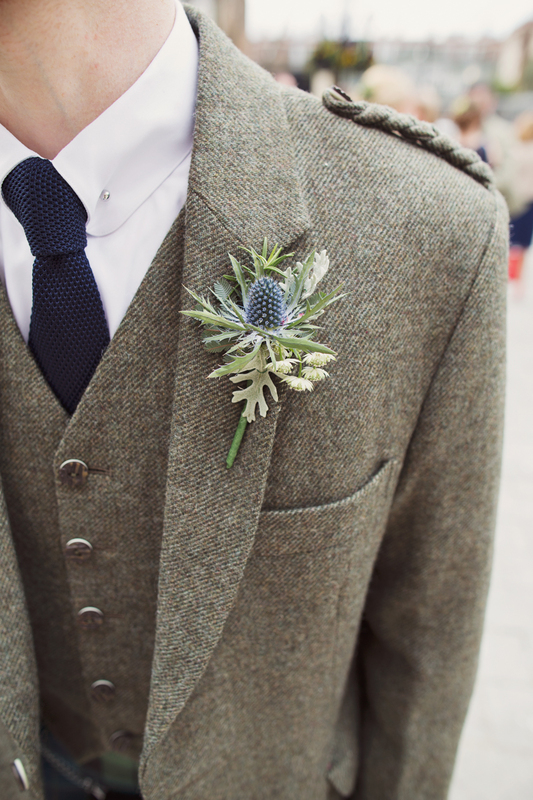 He chose his family tartan, muted McKay, and from that the subtle blue colour theme was born. 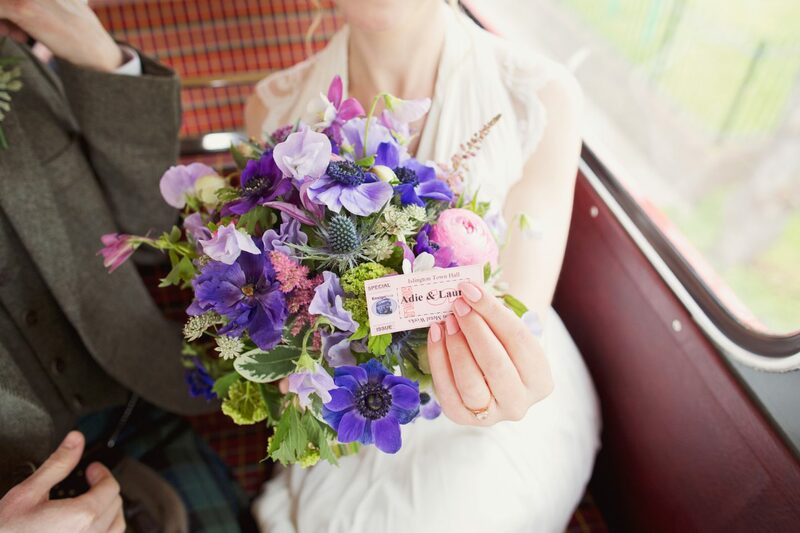 The bridesmaid’s dress was navy and Laura’s wedding bouquet had touches of blue and purple blooms added to it. 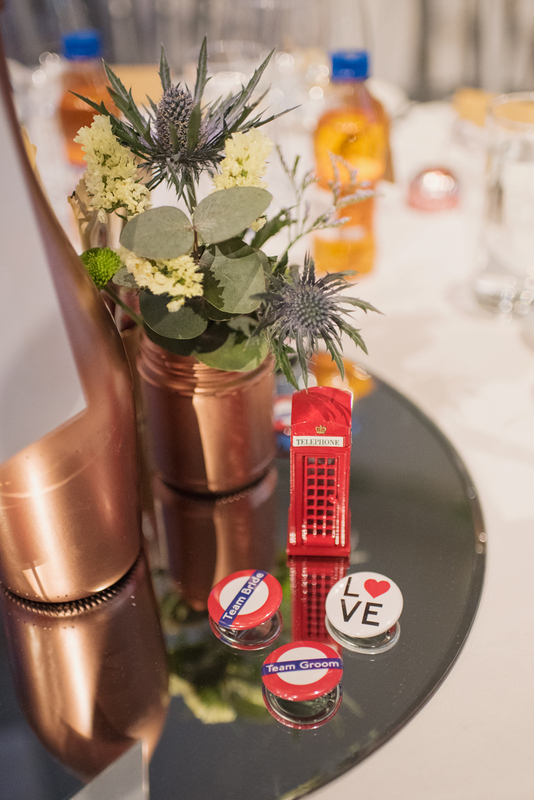 Touches of white and red could also be seen throughout the wedding from the old tube carriage to the TFL map invitations and signage. 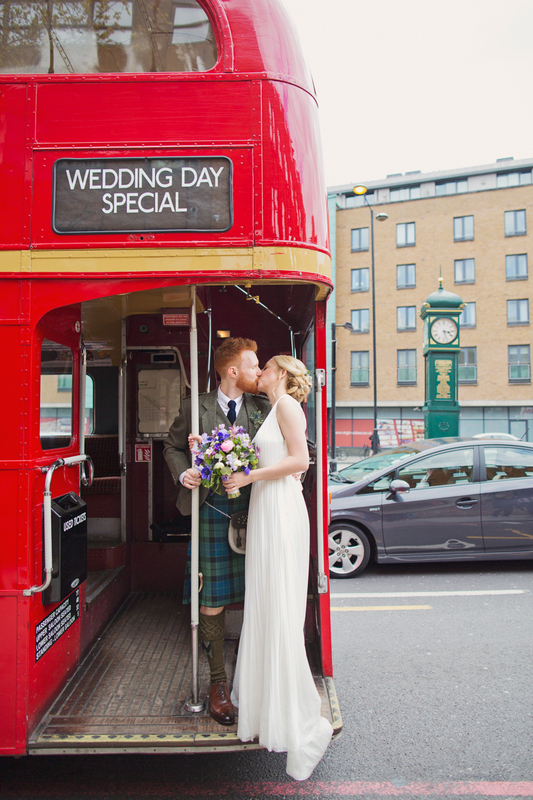 Laura organised a few vintage route master buses for transportation for her guests. 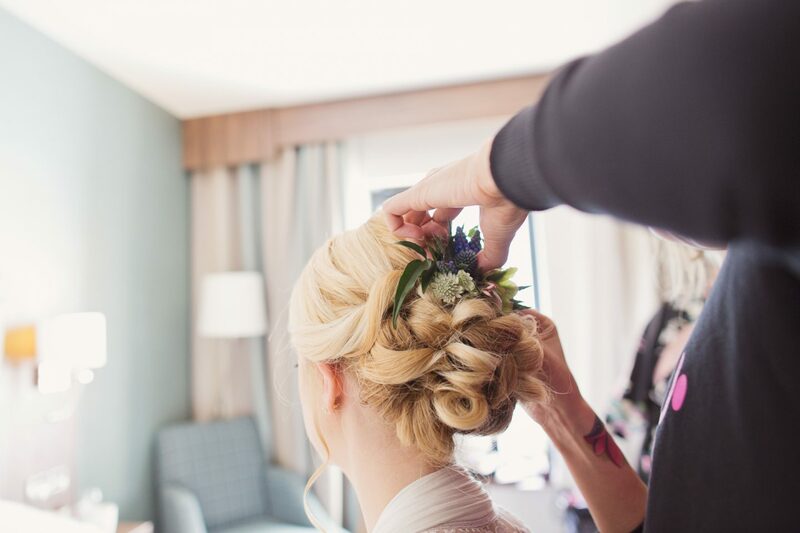 Even though it was a short walk from the ceremony venue to the reception Laura thought it would be nice to treat her wedding guests to something special, especially as they had so many guests coming from out of town. To create a light-hearted mood the ceremony music was “Let’s get Married” by The Proclaimers to set the tone for a fun and relaxed day. Laura made place names out of little flags which were popped into Tunnocks Tea Cakes. 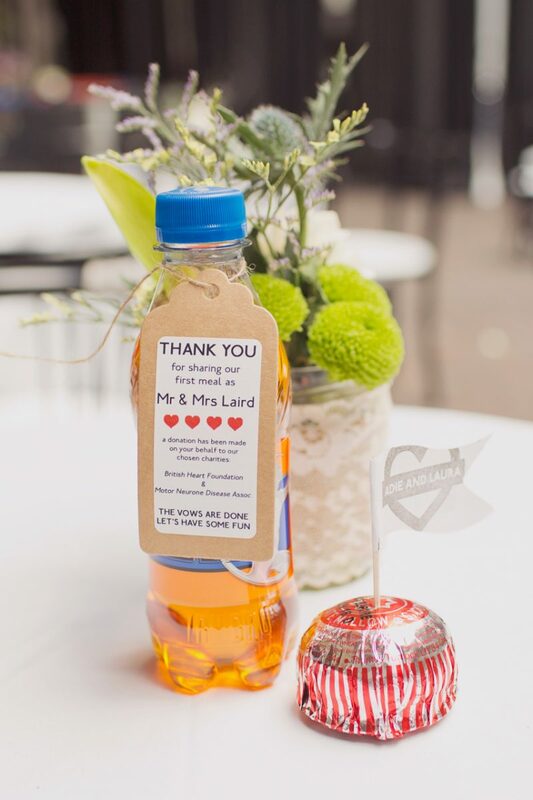 The couple also had mini bottles of Irn-Bru on the tables which had paper tags around them explaining that a donation had been made in the guests’ name to their favourite charities. 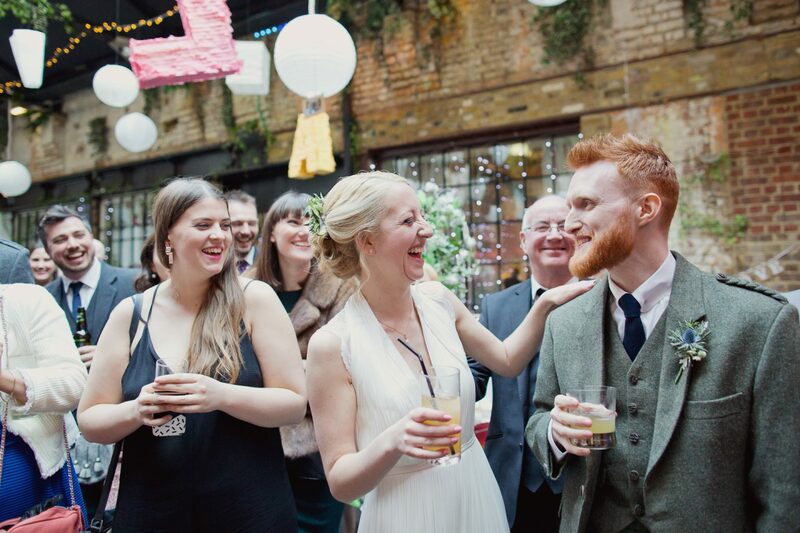 I think you’ll all agree that Laura and Adrian’s wedding looked like such a fun event. 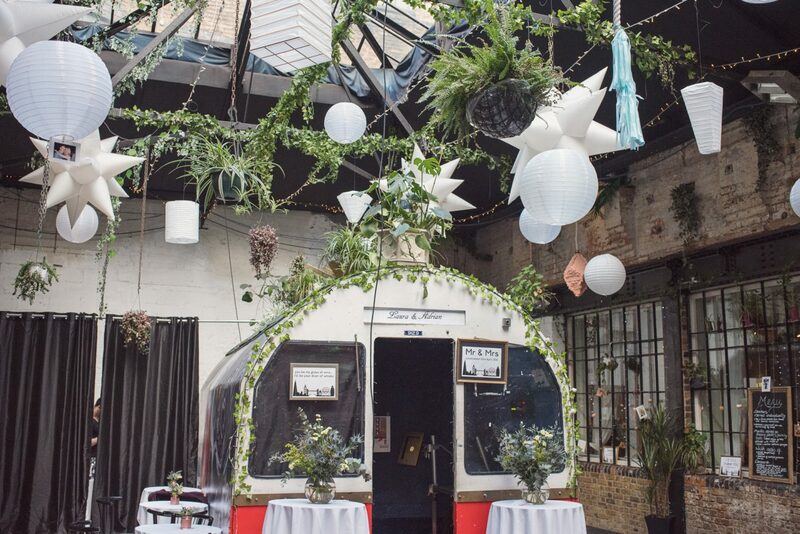 All the small touches of the London transport theme and their Scottish heritage made for a truly unique wedding day, and all the details were really considered. 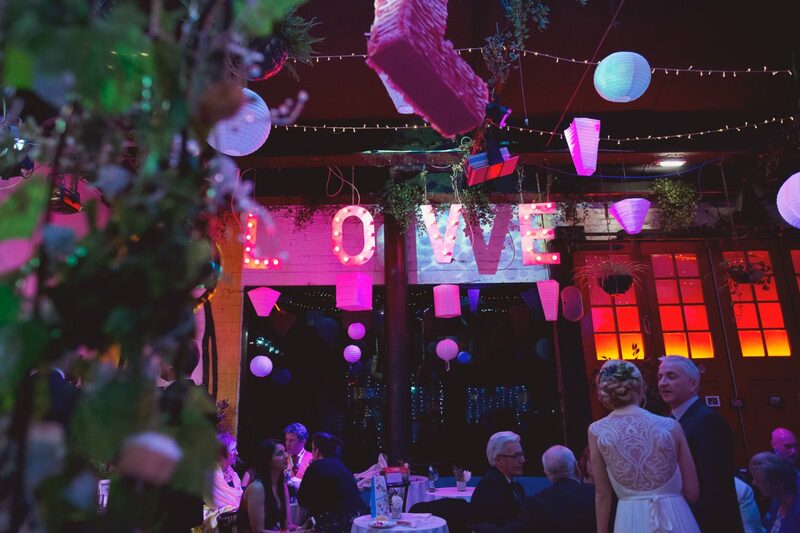 The style of the wedding is a perfect reflection of Laura and Adrian’ s relationship and history as a couple, I especially love the way they successfully combined everything they love together within a cohesive theme. 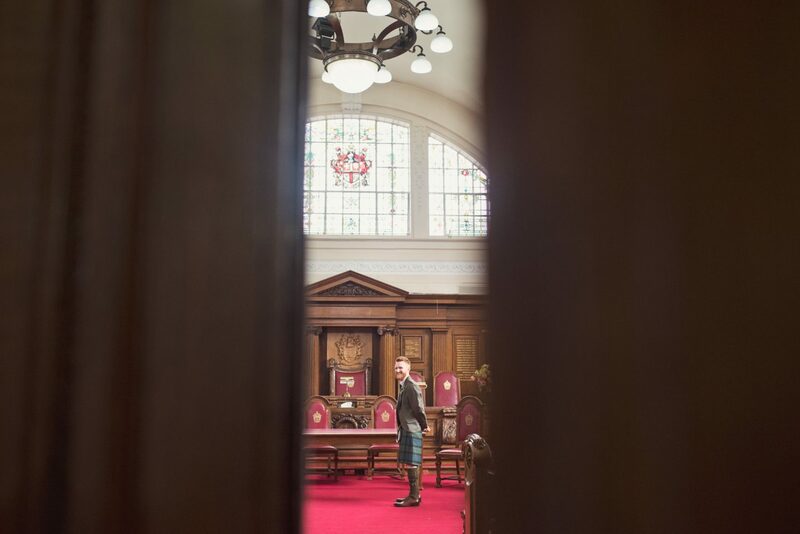 This wedding is a perfect example of how you can personalise your day to perfectly suit you whilst also creating something truly beautiful. And they lived happily ever after… the end! 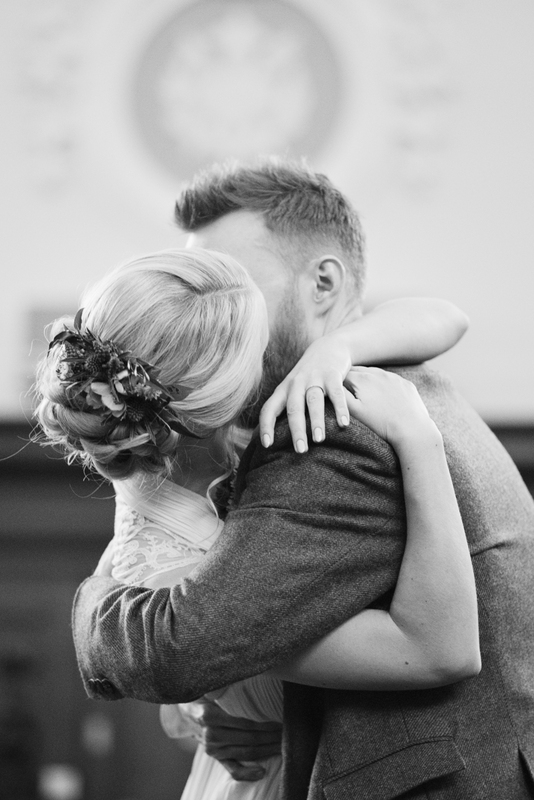 All images kindly from Cotton Candy Wedding Photography.